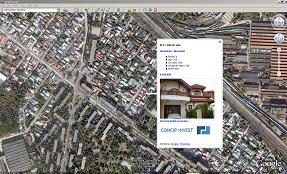 Concip Invest S.R.L. is a Romanian-Cipriot company, registered in the year 2004 that carries out real estate transactions - sales, purchases, land rentals, houses, vilas, apartments, commercial spaces. Our company has a rich experience in the Romanian as well as in the European market. The price/quality performance of the products and services we offer is very good and your satisfaction is our primary objective. The organization of our services and transactions is based on the principle of client orientation. Enjoying a high reputation amongst our customers, we are sure that the products and services of our company will offer you guaranteed satisfaction. By placing your intentions at the first position, our target is to put the most interesting listings at your disposal, in the shortest time, in order to address your primary requests. As we value your time, the decisions and the finalizations of the transactions are decisive elements which we treat with great interest. Click on in the properties details pages.